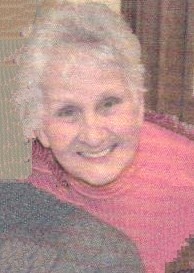 Baker, Juanita, age 82, of Middletown, passed away Sunday, February 3, 2019 at Ohio Mt. Pleasant Retirement Village. She was born September 26, 1936 in Monroe, OH to Christian and Margaret (Childers) Hauser. Juanita was a member of Kingdom Hall of Jehovah’s Witnesses. She worked at Kelly’s Market for 35 years. Juanita is survived by her daughters, Athena (John) Joseph, Selena Baker-Risner; son, Earl (Scott (Renee) Baker; 10 grandchildren and 10 great-grandchildren. She is preceded in death by her parents; husband, William A. Baker; son, Anthony Ray Baker. In lieu of flowers memorial contributions may be made to King Hall of Jehovah’s Witnesses, 6556 Hamilton – Middletown Rd., Middletown, OH 45044. Services will be held at the convenience of the family. Condolences may be sent the family at www.bakerstevensparramore.com.